This blog is targeted primarily at small businesses looking to raise their profile and gain recognition by entering awards. My company enters awards (we’ve even won a couple) and we help clients provide written and other submissions in support of their entries (some of them have even collected silverware). We care about our own reputation and help other businesses manage theirs. This blog isn’t about those successes or what we do, but they serve to outline my credentials to discuss this subject matter. 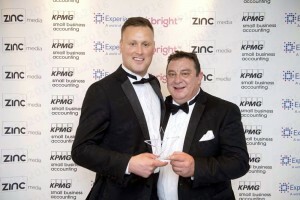 It’s incredibly satisfying for a business to receive an award, especially if it’s a small company where only a few people commit every day to making a big difference. To a new business, perhaps in a start up category, it can be more exhilarating still. However, it’s important to plan a company’s involvement in awards carefully, as we’ll explore. The process starts by making a connection between an award and a business. This can happen via various forms of nomination, which can be private or unbeknown to the company entered. When there’s a requirement for one to be more proactive about an entry, selecting the right award and category is important. There are many to choose from now, with social media making it easier to promote and enter. There are even competitions only operated on Twitter, which I’ll come to at the end. What’s important to keep in mind is that a company operates to make money, which it does by thrilling customers and promoting itself to an audience. While business thought leaders make some good points about looking beyond financial gain (I’m thinking of Simon Sinek’s ‘Start with Why’ campaign) and many company mission statements avoid references to pound notes, let’s assume that is generally the idea. Entering an award must be in line with that goal. Therefore, whether you win or lose, entry has got to enhance a reputation and improve one’s chances of achieving long-term success. Treat the awards you enter as carefully as approaching a new customer, launching a new product or expanding a service. It’s got to be directly relevant, complementary and / or help engage an audience. Going for a night out to an awards dinner is great fun, but not the point of entering. Don’t enter something where success or failure could have a negative impact on a business. For example, one can’t (at least, shouldn’t!) win Blogger of the Year in November if they haven’t blogged since March. And entering will only draw attention to the fact that the company blog is rarely updated. Same with social media-themed categories. Winners of these will be serious Tweeters, posters and engagers. The good (and bad) thing about awards is they get you noticed and get people talking about you. My business partner, Mark Bridger (right), and I claimed an award in the export category at the recent SME Awards, hosted by Zinc Media, in London. A good awards entry should be completed like an exam paper. Constantly refer back to the demands of the criteria and apply what you do to what the judges are looking for. A business can’t have a document marked Awards Entry and just send it off every time they see a competition that might suit them. An entry for Best Apple will be different to Best Orchard, Best New Orchard and Best Arborist, for example. We’ve already discussed the importance of award participation having a positive impact on a business as baseline criteria for entry. But that is only generated in part by the organisers, who will use social media and no doubt give you a mention on their website. The onus is on you. Once you’ve entered, tell people. Get the event hashtag and Tweet that you’ve entered the #AppleAwards. Existing and prospective customers will associate the entry with a positive, successful business. It also presents an opportunity to network. One might meet those who’ve entered other categories and they can interact with each other’s Tweets. It’s also a great way of letting participants know if you’ll be in attendance at the awards and meetings can be arranged. If a business is shortlisted, another round of promotion can begin. I’m not a big fan of email banners, but there are other ways of raising the profile of one’s involvement. Of course, keep Tweets educational and don’t ram it down people’s throats. Maybe add #AppleAwards to a thought provoking post—about apples. If an event is a successful concept and it operates every year, be part of the year-round community that develops within it. I’d recommend attending awards dinners or celebrations in person. Doing so provides great networking and if you are lucky enough to win, the photo opportunities and exposure are far greater than if you get an email the next day with the good news. Additionally, being dressed up to claim the trophy will offer more mileage than getting it in a box a week later. Budgeting, logistics, etc, all come into the reckoning, I know, but consider that at the research stage. If you do attend, be prepared to give a speech. Not all award ceremonies require winners to do so, but having something to say in your head will avoid any awkward silences or blurting out something you later regret. Sometimes a member of the local or trade press will be on hand, which is further publicity if you can conjure up something profound to say. Remember, by the time the lucky winners are announced, a lot of table wine and champagne may have been consumed so it’s advantageous to plan ahead! Winners, be tasteful in victory and subtle in celebration. A photo of the winning team is great, but constant images on a feed of everyone in the company with the trophy is probably overkill, especially if it’s still going on a week later. How many times have you heard the comment, ‘Blimey, you’d have thought they’d won an Oscar’? A mention in a bio and on the company website is probably a good idea, however. A lot is involved in an awards campaign if it’s taken seriously. Thus, it’s important to select only a few (even one) a year and not go for everything. It’s unlikely that a business has time to enter, promote and attend a myriad of events and participation will start to lose impact. Nobody wants to see a Twitter feed where every week there’s a Tweet about another award. Commit 100% to an entry and enjoy the ride. It’s worth adding a footnote about Twitter competitions. I prefer the ones that are awarded on merit—we are proud winners of #KingOf, #SmartSocial and #StarBiz—to those that are essentially Retweet races. Again, the same criteria applies to selecting the right awards to enter based on how relevant, complementary and PR-friendly participation might be.